Return with a vague idea to walk to the bothy in the Arenig range. Called in the hiking shops in Betws-y-Coed first. That took more time than it should but I did get some good stuff- a tarp and waterproof bag liners. There was a guy on the campsite with a tarp fitted to a tent the same as mine, that would be useful for cooking in the rain. I still haven’t got a decent bivvy bag though, but Rab seem like a good make. Anyway, time was running out but the start of the route to the bothy was found after some hunting. The gateway was not signed in any way, I thought they had to put a marker on public footpaths? A short walk down to the footbridge confirmed that this is the right place. It’s always good to get your map-reading confirmed. With the course at Plas-y-Brenin in mind, I fancy more challenging navigation routes, more difficult the better. More stops on the way home including a walkabout on the Berwins. It looks like fine DofE terrain. With rolling heather and some cliffs to the east. 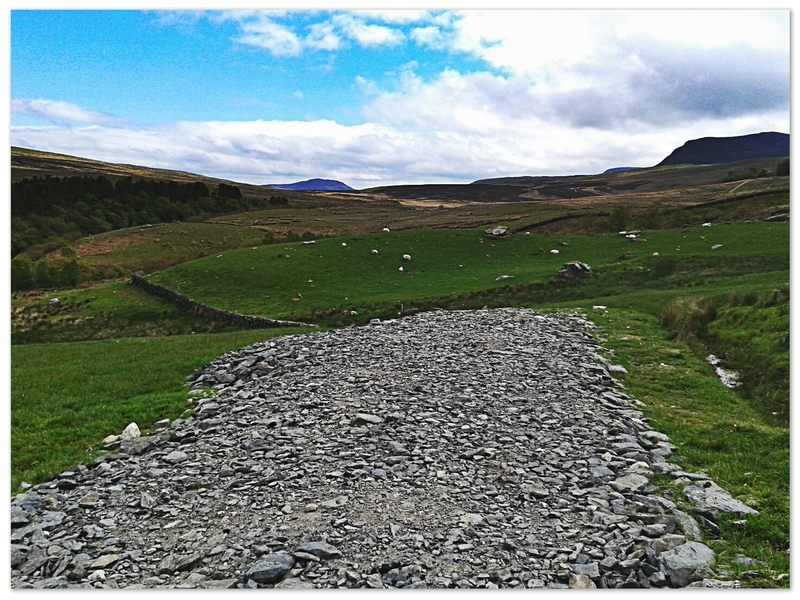 This entry was posted in Hill & Moorland and tagged Arenig, Berwins, hiking, Wales. Bookmark the permalink.